Want to improve the comfort of living in a country house or at the cottage? Then you certainly need to hold your own water supply. The task is complicated if the house was built a long time ago. Before you take the water from the well to the house, we recommend reading our article. 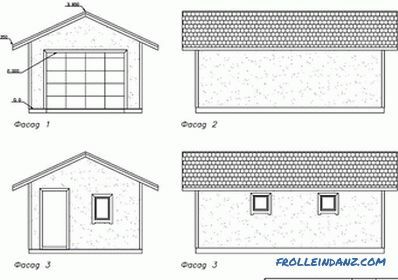 Special capacity, for storage of water - hydroaccumulator. A water purification system installed on a pipe that supplies water. A water heater with a tank that provides a sufficient amount of hot water. Submersible units placed directly in the well. With their help, water can be raised to a height even exceeding 200 m.
Surface aggregates provide water rise of about 9 m, usually they are used for pumping water from wells. They are not intended to be immersed in the source. For high-quality maintenance of the well, the caisson should be equipped; among other things, it will protect the source from penetration of subcutaneous or groundwater. The caisson should be so equipped that it is possible to descend to conduct a well inspection, repair faults in the joints and other things. Try yourself to lay out of the brick or pour concrete with the base of the caisson. And you can do and easier, organizing its arrangement of plastic rings, sold in specialized stores. The bottom should be filled with sand and gravel, and then proceed to pouring it with concrete. 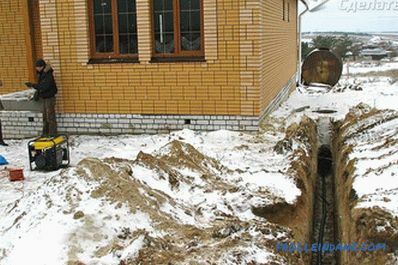 The caisson and the pipeline must be below the level of soil freezing, otherwise the idea with its arrangement will be meaningless. 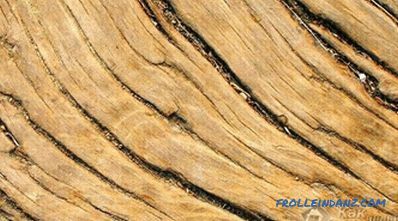 Its dimensions on the sides can vary from 1.5 x1.5 m. The protrusion above the surface should not exceed 30 cm. External waterproofing of the walls of the caisson is carried out, and for this they are coated with hot bitumen, then the waterproofing is glued. The caisson is closed on top of a special lid that would fit the parameters. For example, concrete rings should be covered with a suitable lid with a hatch. It is very important to provide a special opening in the wall of the caisson for the installation of the external piping. The use of metal-plastic pipes is an economical version of the water supply. Between the two layers of polyethylene is an interlayer of aluminum. The smooth surface of such pipes prevents the development of rust and the accumulation of various salts. The inner aluminum layer is protected by the outer layer of polyethylene from solar radiation and, accordingly, from the formation of condensate. However, a significant drawback of such pipes is their deformation when water is heated above 95 ° C.
Copper piping is the best, but also the most expensive product for installing a water supply system. The installed water supply system is rather resistant to corrosion, and is not afraid of aggressive bio-environment and ultraviolet. It copes with temperature drops and high pressure in the system. Copper has excellent heat transfer. Steel pipes are no less reliable and relatively durable, their main disadvantage is the rapid development of rust from both the inside and the outside. In the process of installing metal pipes, you will need to either use a welding machine, or do thread cutting on each individual element. Polypropylene pipes have acquired particular popularity today because they have excellent operating parameters and do not oxidize. The duration of their operation can reach 50 years. Polypropylene pipes are convenient to install. The connections of such pipes are so strong that the pipeline can be hidden under a layer of plaster. Their main drawback is that the installation should be carried out with a specially designed soldering iron or electric welding. Installing a collector system involves the use of a large number of pipes. The cost of plumbing largely depends on the choice of the material from which the pipes are made. 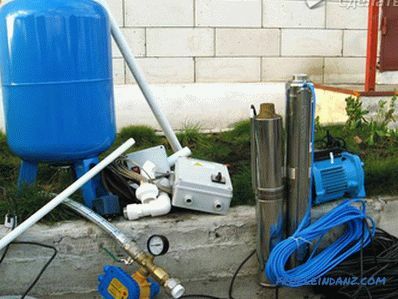 If we talk about tools, then for the installation of a water supply system made of steel or copper, You will need a linen winding, wrenches, and also gas and adjustable wrenches. In addition, adapters, couplings, plugs and shafts of appropriate sizes will be useful. If your choice fell on metal-plastic pipes, then you will need fittings, a set of wrenches, as well as gas and adjustable wrenches, FUM-tape. To install a polypropylene plumbing you will need a soldering iron with different nozzles. First at the outlet of the pump We install a check valve to prevent water hammer. Then fasten the crimp sleeve and connect it to the outside of the pipeline. Fixing lugs are used to safely lower the pump into the well. We pass through them a cable galvanized in a plastic sheath and fix it with metal clamps. 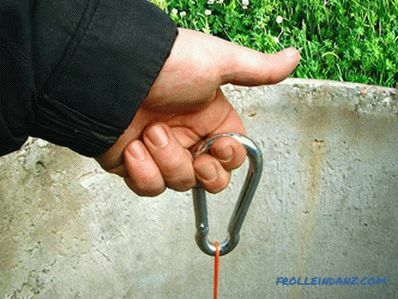 Now you need to attach the pipe to the cable, and after the power cable with an interval of about 2 m. We lower the pump into the well so that it does not reach the bottom by about 1 m. How to achieve this? First, we lower the device to the bottom, and then we make a mark on the pipe or cable, which will help us lift it exactly one meter from the bottom. If we need to submerge the pump or unload it, we use a tripod with a winch, which is usually used for drilling a well. After immersing the unit, we will need to secure the cable in the tip. To do this, put it on the casing. Let's wait about ten minutes, so that the unit is full, it will allow us to check the quality of its work. Not only in the caisson, but also in the foundation must be heat and waterproofing, namely in the hole for the pipe. After we bring the pipe into the space under the floor, it should be insulated, as the temperature in the basement wall in the winter period can be below-zero. This is especially appropriate if the basement is not insulated. 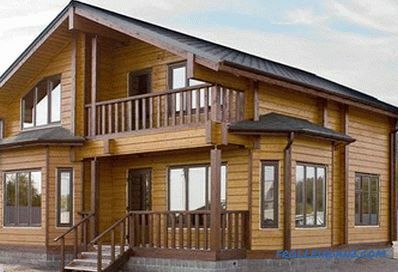 After we have conducted water into the house, we should connect the accumulator, which reduces the number of switching on and off of the pump and protects it from water hammer, provides a supply of water. It represents the hermetic capacity divided into two compartments. In one of them is water, and in the other - air. If our pump gives a very high water pressure, then we install a pressure switch, which regulates the pressure, before the accumulator. Let's also think about installing water purification filters. However, before we check the water for taste, smell and color. Let's make her a fence for her examination in the laboratory. Different types and models of pumps. Heating elements, electric boilers and water heaters. 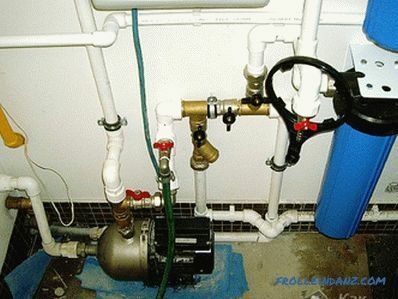 The purpose of the pumping station is to provide water directly to the plumbing system. This is a special automated complex equipment that creates the necessary water pressure. For optimal operation of the pump, care should be taken of its location as close as possible to the water points. 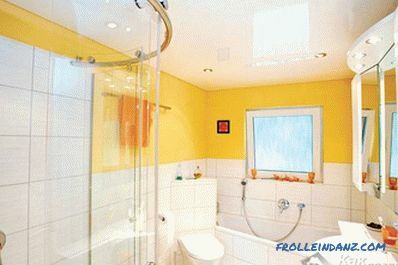 For example, in a separate room from the house. It can be in the basement or basement. At the same time, the premises must be heated to prevent freezing. In the process of connecting the station, you should take care that the pipe with a bronze or brass fitting fits to it. Then it should be connected to the drain valve and a tee, and then connect a check valve. This will allow water to be shut off in the event of an accident or repairs. Connect the ball valve to supply water. After the filter is connected with a metal stainless mesh. Now connect the station with the damping tank, as well as the pressure switch. 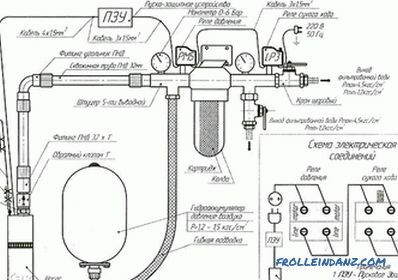 Then the sensor of the so-called dry pump stroke. Finally, a fine filter with a 2.5 cm transition to the pipe. 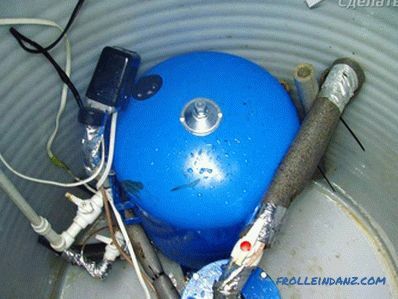 However, if the pump is installed in the well and all the equipment is in the room, then the hydroaccumulator (damper tank) needs to be installed from below, and the pressure switch is on top. But it is not necessary to install a damper tank, because a barrel installed in the basement or in the attic can play its role. Water will be under pressure, provided its volume and weight. Before you decide on water treatment system, you should give the water to be checked in the chemical laboratory. Depending on the presence of impurities and mineral salts, you need to choose a filtering system. 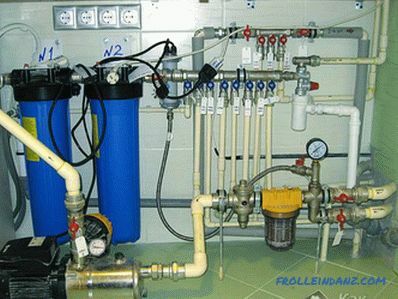 If you decide to install a hydroaccumulator, then after it should be a water purification system. The distance between them is up to 1 m. Then, the water should be divided into two separate streams: the water supply to the collector for cold water supply and the water supply to the boiler or the DHW system. At the entrance of the flow of cold water you need to put the valves. Each tube must be equipped with this method. The amount of input and output in the collector is determined by how many water intake points in the house will be installed. 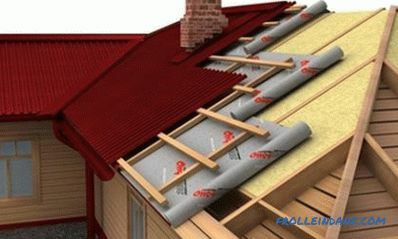 A completed water route implies providing the house with both cold and hot water. Given this, on the pipe under the heating device, you should put a faucet to drain. Moreover, an expansion tank is installed, as well as a safety valve. The drain valve must also be at the outlet of the hot water from the heating device. After that, connect to the DHW collector and dilute the water in all the planned premises. That's it, the water has been laid in the house from the well! Before starting operation of the system, we check its performance and the absence of leaks. If everything works smoothly, then you can run the system! Do you have experience in laying water from a well to a house? Have you had any difficulties in the process of performing these works? What helped you cope with them? Write comments on the article. Your experience is valuable for us!